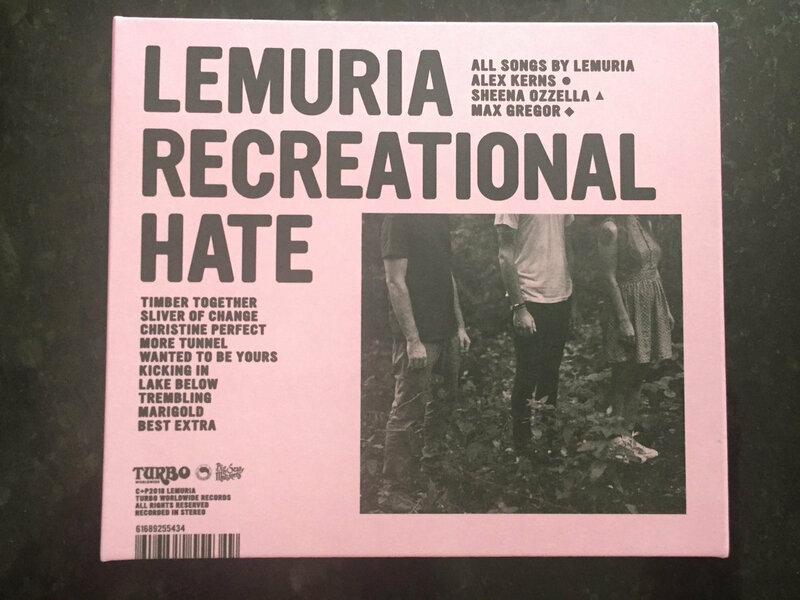 &lt;a href="http://lemuriapop.bandcamp.com/album/recreational-hate"&gt;Recreational Hate by Lemuria&lt;/a&gt; Recreational Hate will certainly sound familiar to fans; the core guitar-bass-drums sound the band established on their previous three records remains the foundation of their sound. But in recording with Chris Shaw (Bob Dylan, Nada Surf) in Austin, TX, they dipped into the local music scene to great effect. After a false start, pedal steel guitar propels "Kicking In," while horns punctuate singers Alex Kerns and Sheena Ozzella interweaving vocals on the excellent, New Pornographers-esque "Wanted to Be Yours." 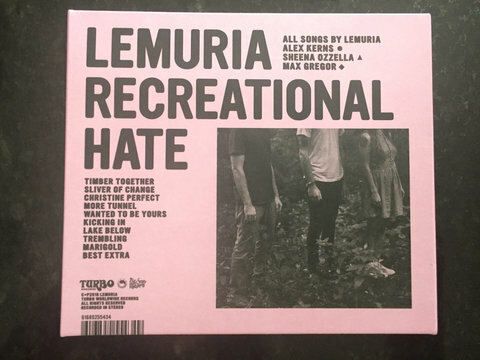 But their lyrics are where the band really set themselves apart; in an underground filled with the latest hot young things, Lemuria — two-thirds of whom were married in the last couple of years — are adulting. Hard. Recreational Hate is ultimately a record about self-improvement and finding your place in the world. On "Christine Perfect," Ozzella proclaims herself "Not a Stevie, I'm a Christine McVie…I find comfort in second best." Meanwhile, Kerns mulls over the implications of a childless life on "Trembling," comparing himself to the last leaf hanging off a dying tree.